Marketers need to be able to identify and solve customers’ problems as they change along with the times. Back in the 20th century, problems were often solved with products. In the 21st century, it is time to solve customers’ problems – both conscious and unconscious – through the Internet, Al, and especially through innovations. Marketing is the process of solving the problems of many types of customers. Now, in the 21st century, customers’ problems are not the same as they once were. It is natural then, that the ways to find and solve these problems are also changing. If we continue marketing as we did in the 20th century, businesses will not improve, economies will not grow and the lives of people will not improve. Therefore, we need marketing for the 21st century. The ways to contact and interact with consumers have also dramatically changed. Mobile devices and social media have become the main ways for young people to access products and services related information. Consumers also follow recom­mendations of other users more than advertisers. This is why it is essential to communicate in a way that is relevant and meaningful to these target consumers. To succeed in business, each of us has to con­tinue to implement marketing at every level of the organization. I define marketing as developing solutions for customers’ problems. Customers can be our consumers and suppliers, or employees for human resource depart­ments, or management for financial departments. So our customers exist both inside and outside the company. Marketing solves two kinds of problems: customers’ conscious problems and unconscious problems. One big difference between the two is whether or not we can find them through research. We can find customers’ conscious problems through research, but not their unconscious ones. Many companies in the 20th century developed appliances and machines that used electricity and petroleum – products of the Second Industrial Revolution. The home appliance and automobile industries developed thanks to these inputs. Com­panies could solve customers’ conscious problems through consumer research and determine ways to add features and enhance the quality of their products. A set of standard processes defined marketing in the 20th century. In the 21st century we now have many high-quality and high-performance products, and it is becoming difficult to solve old problems with new products. In addition, customers have new problems which cannot be solved by products alone. To solve these new customer problems, we need to provide services via the Internet which were brought about by the Third Industrial Revolution. The reason that many Japanese companies suffer from fierce price competition and cannot grow is that they cannot solve customers’ problems while sticking to old models and consider only products, without recognizing and understanding the changed nature of customers’ problems. On the other hand, companies such as Apple, Google and Amazon have created new business models to meet the new age. They are growing strongly by solving custom­ers’ new problems through various internet-based services and intern et-enabled products. This set of processes is marketing in the 21st century. 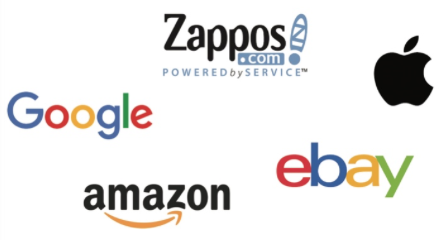 Companies such as Google, Zappos, Apple, eBay and Amazon found innovative ways to solve customer problems by using the internet, by creating new business models for a new age. Renovations’ are new products or services that result from solving customers’ conscious problems, while ‘innovations’ are new products, services or business models that result from solving customers’ unconscious problems through marketing. For example, among solutions for the problem of it being too hot inside a room, there are two innovations: the electrician, which appeared after the manual fan, and the air conditioner, which appeared after that. Improvements in the function­ality of electric fans and air conditioners – which include timers, more accu­rate control of air volume and dehumidification – are all renovations. Customers have many innovative ways to try NESCAFÉ products, from internet purchases to the NESCAFÉ kitchen car or at NESCAFÉ Harajuku, where customers can order through a tablet. Another example of innovation is the invention of motion pictures after static photo­ graphs, and the subsequent development of the movies shown at theaters and television in homes. But improvements such as Liquid Crystal Displays, 4K and 8K ultra-high-definition televisions are all renovations. Most problem solutions in the 20th century were renovations. In order to grow, companies repeat the cycle of renovation to innovation. In the 20th century, com­panies often repeated the cycle in the same product category. In the 21st century, the IoT age when things connect to other things, there will be no more traditional product categories or even industries. When that happens, companies who used to solve problems only with products as in the 20th century will need to change their business models drastically for further growth. For example, in the past, retail businesses and publishers only sold their products at retailers or bookstores, but the business environment totally changed because of e-com­merce. E-commerce enables us to purchase products immediately which used to be available only at certain retail locations or bookstores. This is a big innovation made possible by the Internet, which is not in the same industry as retail businesses or publishers. At Nestlé Japan, one of our innovations is the Nescafé Ambassador. We placed our coffee machines in offices, and introduced a system that enables customers to buy coffee via the Internet instead of the traditional way, at vend­ing machines or convenience stores. The so-called “Nescafé Ambassadors” are office workers not asso­ciated with Nestlé. This is a completely new business model that changes the way we distribute and sell products. 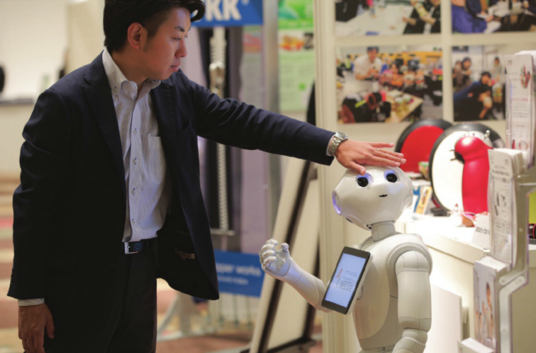 In addition, we introduced the humanoid robot, Pepper, to enhance the shopping experience for our consumers at the Point of Purchase. In the IoT age, rather than solving problems with products alone. The humanoid robot Pepper (here, in front of NESCAFÉ products) is a big hit with customers. Businesses need to find more ways to leverage 21st century technology such as the internet, Al and VR to create solutions for customers. It is necessary to find and identify a problem before solving it. We can find and solve the conscious problems of customers through research but it is very difficult to find their unconscious problems. To succeed and grow, companies need to develop both renovations that solve customers’ conscious problems and innovations that solve cus­tomers’ unconscious problems. 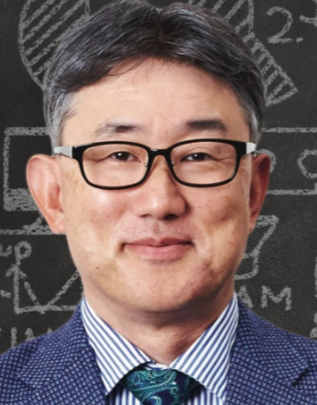 At Nestlé Japan, we recognize the strategic importance of how to find customers’ unconscious problems to create innovations, and implement training to strengthen this ability through our Innovation Awards. The Innovation Awards are initiatives through which all employees are encouraged to think deeply about their customers’ problems and solutions for them, and implement them. The process helps all employees improve their ability to find and solve problems. It also has another important aspect in terms of training, which is improving the judgment of management. This is the ability to look for diamonds in the rough amongst the many ideas submitted to the Innovation Awards and to polish them. Through the Innovation Awards, members of management at Nestlé Japan can improve their ability to recog­nize good ideas, no matter how small, and grow them into real business opportunities. The number of applications for the Innovation Awards has increased rapidly in the five years since its incep­tion. Some ideas generated from them already contribute to the growth of our businesses. In summary, in this day and age marketers need to solve customer’s conscious and uncon­scious problems by using innovative means. A big innovation, even it occurs less frequently, can bring profitable growth for more than half a century with subsequent renovations. Encouraging innovation in a company, such as we do at Nestlé Japan, will be crucial to future growth and success.